I like fieldwork and to experiment with variouse endfed configurations. One of these configurations is using a monoband wire along a glassfiber pole. My old box was a absolute not usable for the outdoors because the box didn't had had any sealings at all. 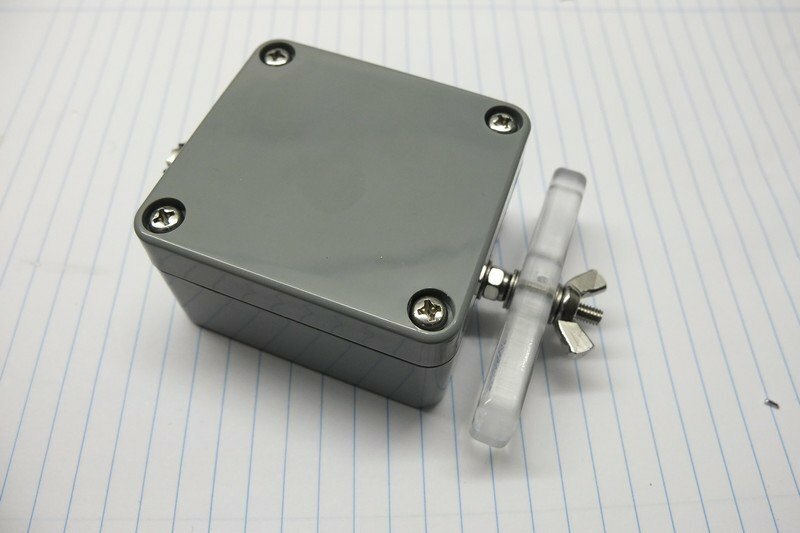 And because of the summer is coming (which means a lot of rain in the Netherlands) I wanted to make a simple box which has to be IP65, contains the endfed transformer and also some kind of a simple mounting feature. 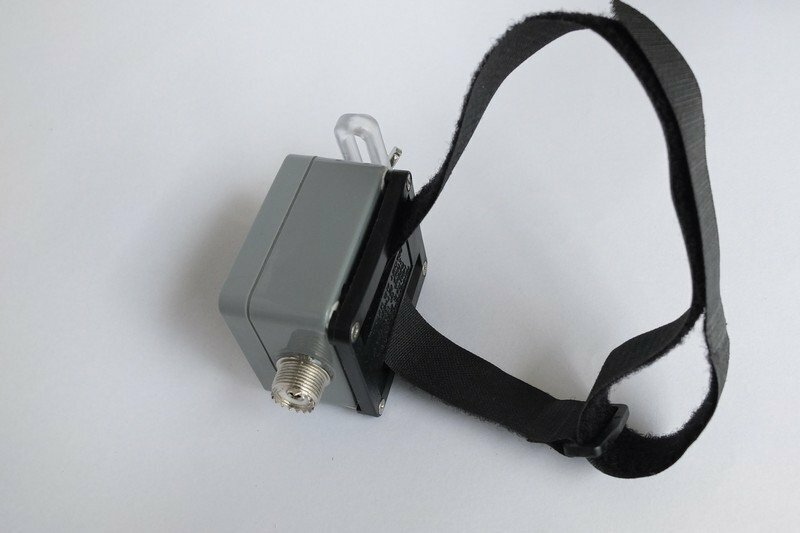 That feature should include easy binding the box to a glasfiber pole but also the normal temperary fieldwork installations like hanging it in a tree. For the parts there are multiple options but local supplier didn't had the needed IP65 boxes. So I looked around for a company / webshop who has all the stuff I need. 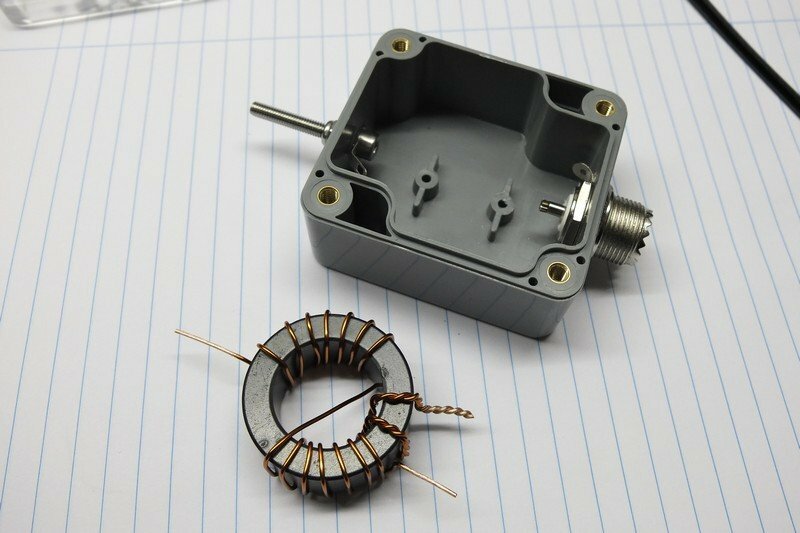 The company "CommunicationWorld" has a large collection of part for DIY antenna building and all the parts you need for these experiments. They even sell complete DIY kits (!!). 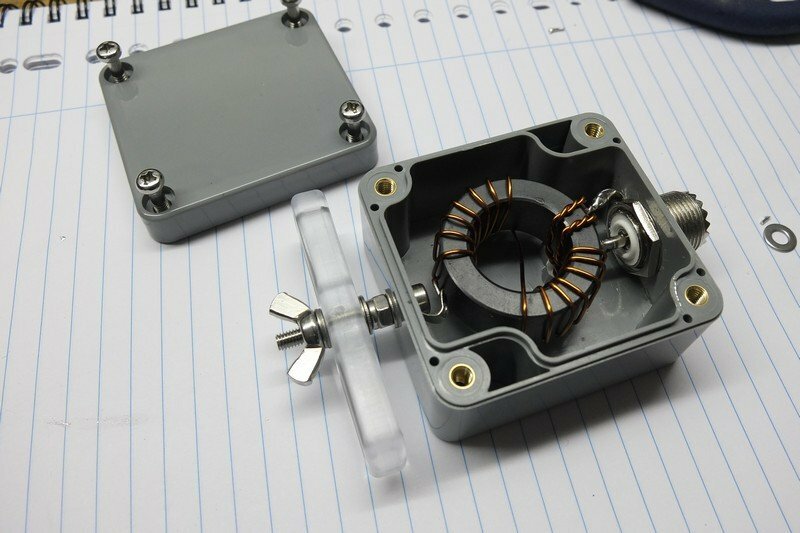 New in they assortiment is a cool mouting system for the ABS boxes (excectly what I need for glass fiber pole mounting) and they have those nice isolator for wire antenna's. The transformer configuration I used is the same as most of the endfed design like described on the page of "CommunicationWorld" and on this page of PD7MAA (good aditional info about the endfed design). Because i wanted to go a little more backpack style I downscalled as much as possible. 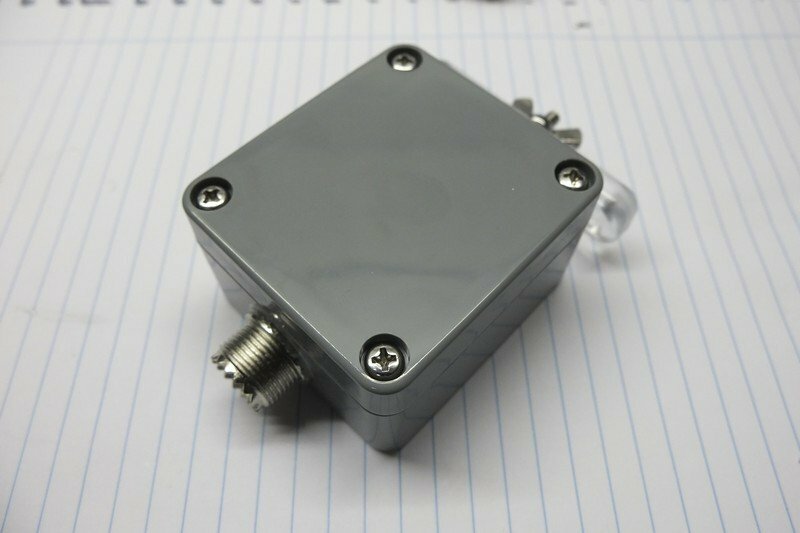 I didn't use the standard ABS 82 x 80 x 55 mm (ip65) box but the smaller 64 x 58 x 35 mm . Also I didn't use M5 thread materials but M4. For the connector I didn't use the model from Communicationworld because I wanted it to be even smaler (even thought about using a BNC chassis part but maybe that next time). 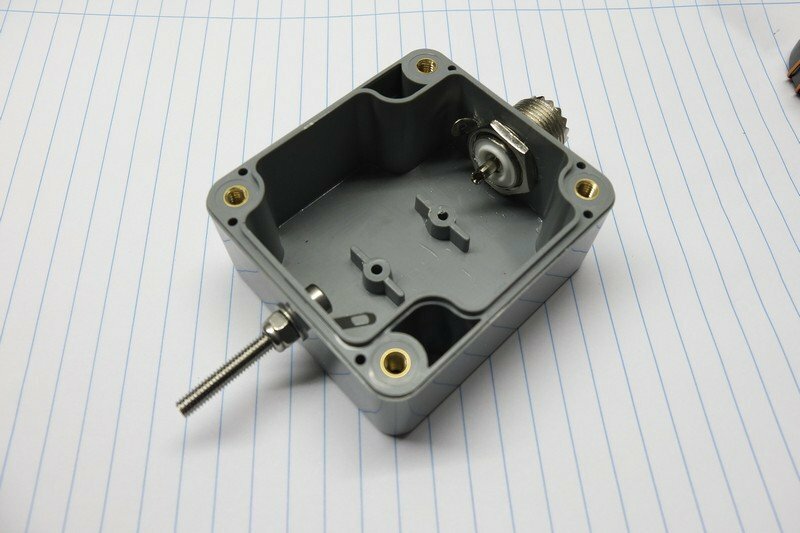 I drilled two holes in the box, one for the M4 thread on which you connect the antenne and one 14mm for the PL chassis part. I used a 2 component glue to seal the thread and chassis part in the box making it IP65 again. The 1:64 transformer (FT140-43) ready to install. Everything installed and because I want to use it monoband with different wire lengths, I didn't install the C for the 10m in the 10/20/40m endfed configuration. Notice the 2 compontent glue around the chassis part. Then it was time to install the mounting system. 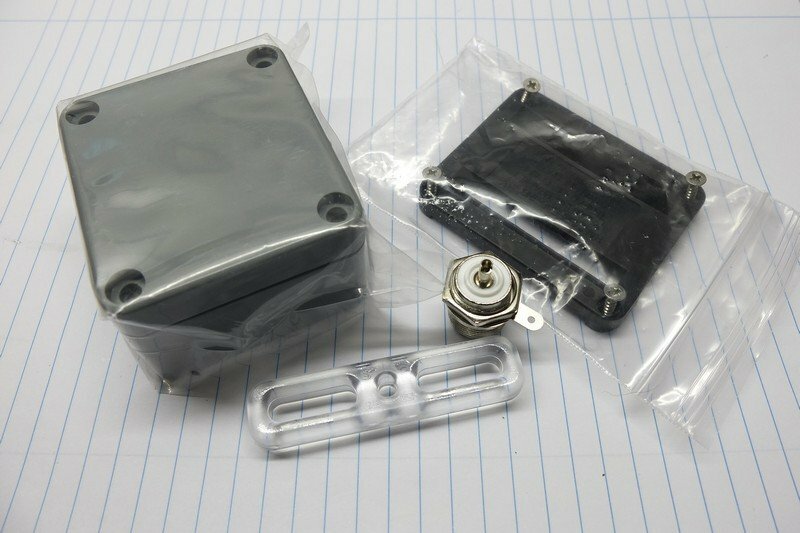 That one was a bit tricky because there are no holes in the small box and the screws are coming into the holes on the back (where the cover screws go). So I glued small plugs to fill them up for 1 cm and drilled a small 1.5mm hole excactly on the location where the mounting systems screws go (trust me, drill the holes when you are using massive materials like I did). For startes I used a Velcon strap but it was to large for normal operation (I have orderd new one which can be cut to length). 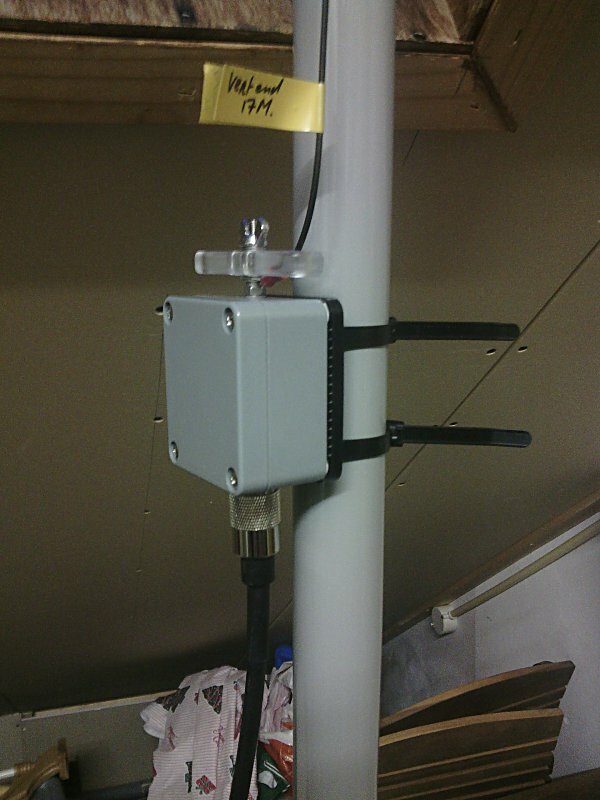 The box build and ready and QRV on 17m (glassfiber pole out of a window in the roof of my house). A few EA contacts (giving me 59+20 with just 20W) and a suprising 58 from JH1MDJ (my first Japan contact every). More info and photo's will follow. Importent note : a few people wonder why there isn't a 100pF capacitor in the box. This box is designed for monoband use. 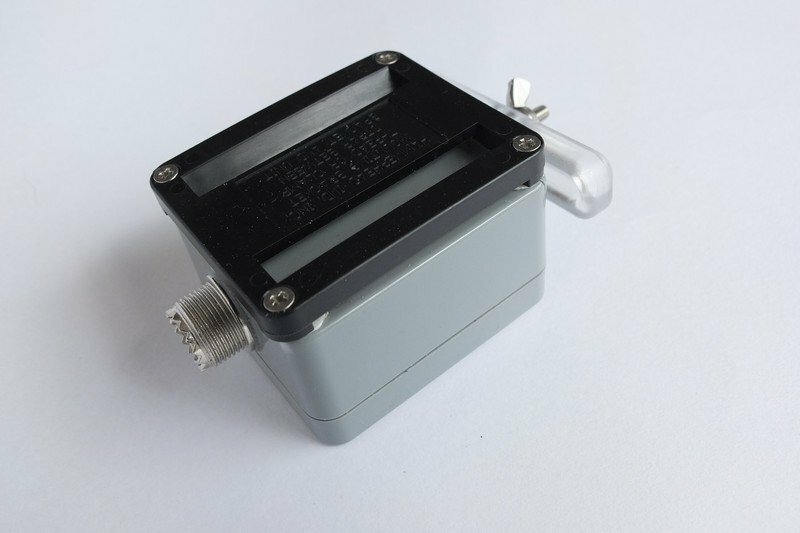 WHen you want to use a simulair box for the 10/20/40m endfed, please install a capacitor from 100pF or 150pF (you need some experimenting to find the correct one).